One down and 52 to go! That’s how many more training days I have before the Colorado 100 on Sept. 4. Today was the “kick-off” of my official training schedule. I was on the water by 7:10 AM. 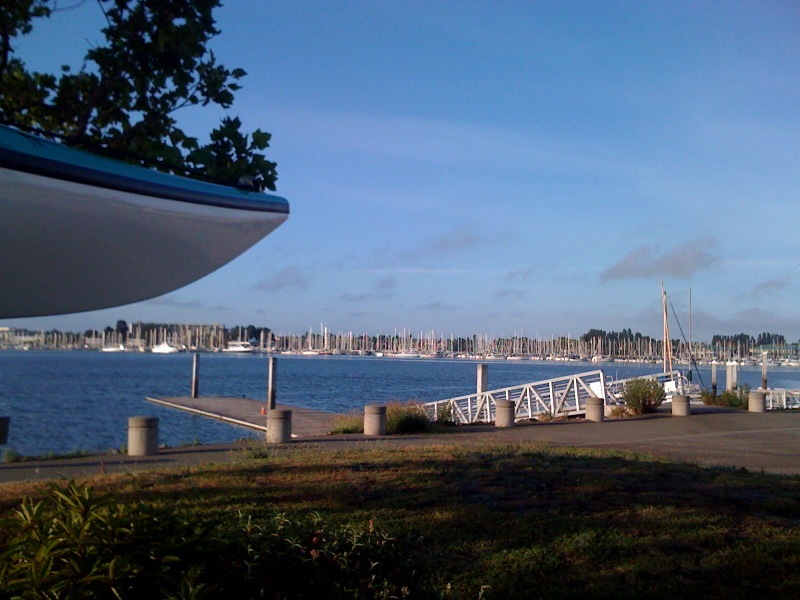 It was a negative tide today so I headed for the Oakland estuary instead of putting in at Redwood City. The dock was empty and I had the place to myself. There was already a pretty good breeze; a small craft advisory was due for 11 AM. Here’s a picture I took right before I unloaded gear and the boat. Once I got going I felt pretty good. My right shoulder muscles had been a little sore from Fri.’s practice. Today was the first day I wore the heart rate monitor. My drinking timer worked, I got speed, distance, and recorded my route. So the technological challenges were all a success. I’m really glad I’ve been paddling with the watches and GPS before today. The wind actually decreased after the first half hour or so. I hadn’t paddled on flat, smooth water in weeks. Effort was supposed to be at 60-75% of my MHR. 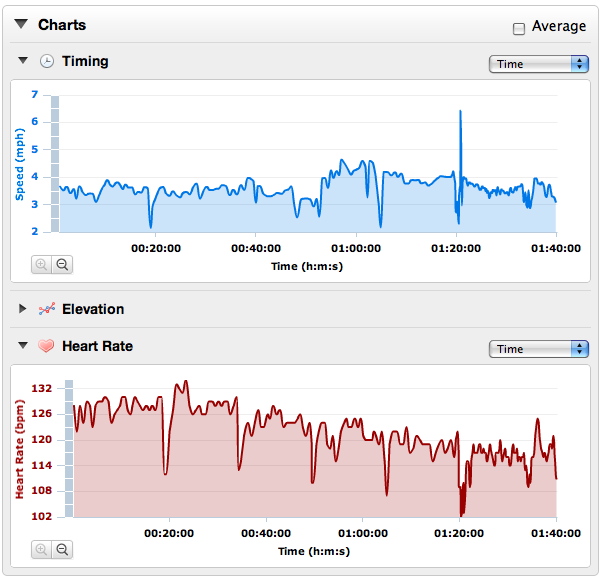 Here’s a graph of heart rate and speed. I found it interesting that speed improved as time went by and heart rate decreased. I suspect that was a “warming up” period. The severe drops in the graph are where I stopped for water. Soon I won’t have to stop and put my paddle down as I will have a drinking tube attached to my PFD. I hope Johnny has the fabrication for suspending the Dromlite behind my seat done by next Sat. That’s a 12 mile day and I’d like NOT to have to bring multiple water bottles. Next Sat. will also be a little more than a 3 hour paddle which means I’ll begin practicing with liquid food. So I’ll have at least one bottle on deck. Being Memorial Day here in the States it was a pretty quiet morning as I paddled by multiple sailboats moored all along the estuary. There were a few people getting ready to go out for the day. One couple was getting their BBQ ready on deck. A couple powerboats went by, but all in all, I was by myself. When I returned to the dock a few women were getting ready to go out in their sculls. Even by 9:30 AM, it was still mostly empty in the parking lot. I was home by 10:30 with still a full holiday of fun to follow. This entry was posted on May 31, 2010 by DummyDiva. 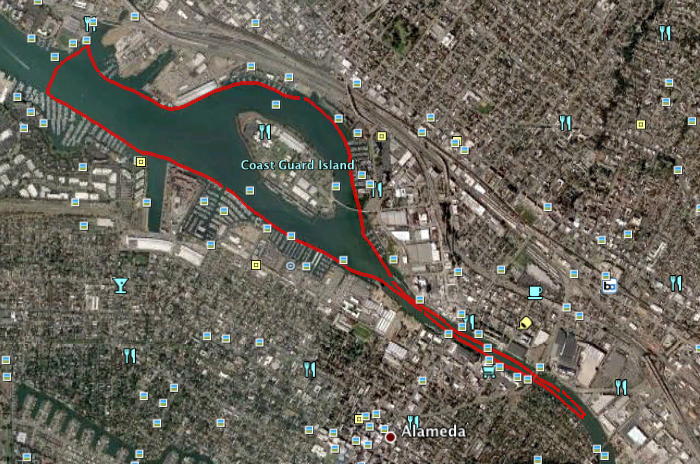 It was filed under Uncategorized and was tagged with Colorado 100, kayaking, Oakland Estuary, paddling, training.